It's always nice to have some attractive and useful pieces of furniture in the garden. Something like a comfortable chair or a practical table can help your garden or outside living area stand out and also inspire you to use it more often. With the weather getting brighter and more enjoyable everyday, now is the perfect time to begin with those garden projects that you've been dreaming about throughout the winter and make sure you make the most of what you have outside. From big gardens to enclosed balconies, we have collected some innovative and original garden accessory and furniture ideas to help you get inspired. If you are fortunate enough to have the right natural support to host a porch swing anywhere else other that your porch, you can add a great feature to your garden that you and your friends will want to use again and again. Suspended from two trees, what better way to incorporate man made design with nature? A long drink in hand, sat in the sun, maybe at a barbecue and enjoying a relaxed summer afternoon. That being said, a porch swing on the balcony always makes a welcome feature too- watching the sun go down from your fourth story veranda whilst sat in a porch swing would be an idea that few would be opposed too! The bright and deep summer colours used in this Poll.22's design are particularly nice, we think. 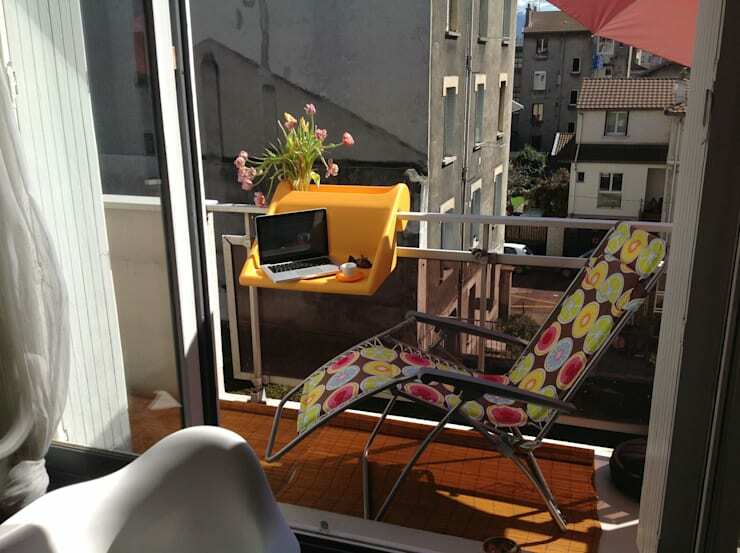 Many city dwellings don't offer much space for those of us with green fingers to get busy out on the balcony. This innovative accessory from Designstudio iidee combines practicality and space to offer its owner a hanging, window box, a potting tray and, by proxy, a small table/storage area- a very useful addition for those of us with limited space. On those days working out in a remote area of the garden, it can get problematic when we address the idea of temporary storage areas for things like drinks, phones and tools- but not any more! Design Studio Niruk have come up with the concept of an attachable/detachable table that one can attach to more or less anything in their garden (so long as it will support it's weight). What a useful idea! A larger than life sun lounger makes everything better! 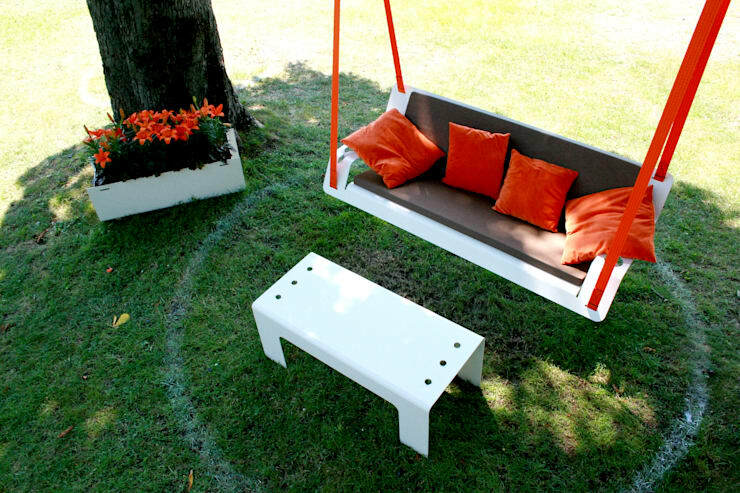 Imagine how much you would use your garden if you had one of these in it! 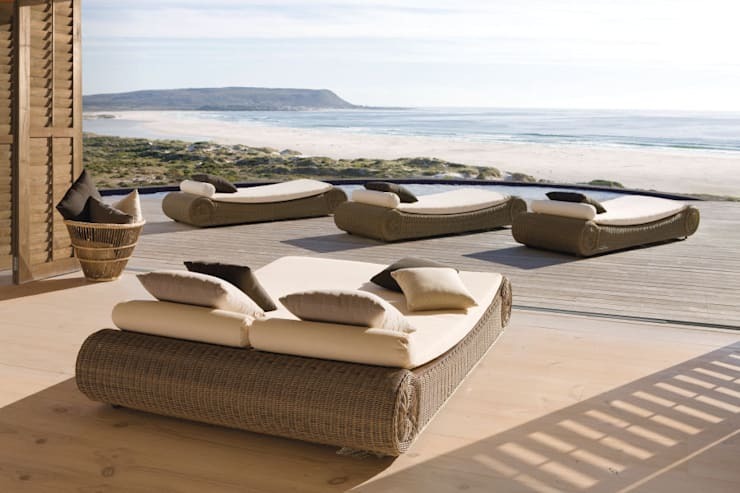 Wicker garden furniture to die for- although, admittedly we don't all have this scene to look out onto from our gardens… still nice though.